IAMCT EMEA (formerly MCT Europe) gathers MCTs from all over Europe, Middle East & Africa and creates a forum not connected to any vendor or other organisation where we can exchange idéas, communicate with our peers and partners. The organization is non-for-profit and all work of our members, board and groups are made without any personal financial gains. The region currently have 23 chapters spread out over Europe, Middle East and Africa: all with their own and localized organization and structure. 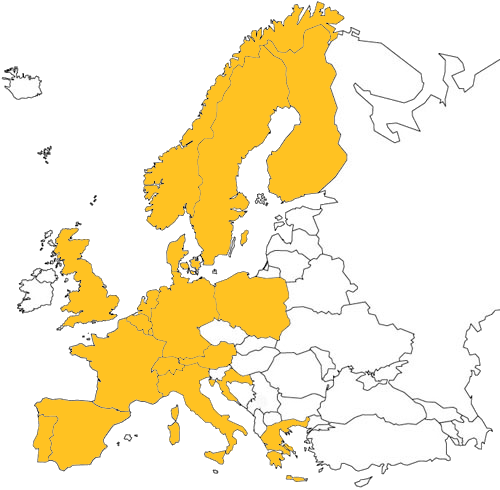 We are constantly growing with the vision to cover all of Europe within 2 years. Every chapter is more or less autonomous and works to enhance the market and engagements for MCTs in that specific local market with the tools that are appropriate. One of our main objectives for the region is to create a face-to-face meeting between our members. Often today most roads turn digital and we tend to forget the very importent message we use every day in the classroom: Interaction, Communication and Passion. To become a member, please register using the link "Register" in the top right of the site. To register you will need to submit your MCT id, MCT transcript id and Transcript sharing code. Without this information your application will be discarded. If you are a MVP, RD or other qualified person without theese credentials please contact your country chapter for more instructions. IAMCT is represented in many countries already, and are working on getting even better coverage - we are a local community co-operating across borders. Each country is managed by a Country Lead who can have one or more Ambassadors helping out managing the operations. If your country isn't listed please contact your nearest chapter to join them while you wait for a chapter or if you are interested in starting your own chapter then please contact our Usergroup Liasion.